Is Temprid SC worth the extra $ vs Tempo SC? I bought a secondhand daybed frame about 2 weeks ago. About 1 1/2 wks ago I started noticing bites on my daughter. I contacted Orkin and they came in and confirmed bed bugs in the room the daybed was in. Nobody else in the house has gotten bitten, but there is a bedroom next door. My daughter who sleeps in that next door room that did not have the infested daybed has not received any bites to date. My husband is going to buy some Diatomaceous Earth locally today. I am trying to decide which spray to purchase additionally. I read good reviews about Temprid SC. But it is pricey. Are there other, equally as effective sprays you would recommend? If you contacted Orkin then you know how expensive bed bug treatments can be. 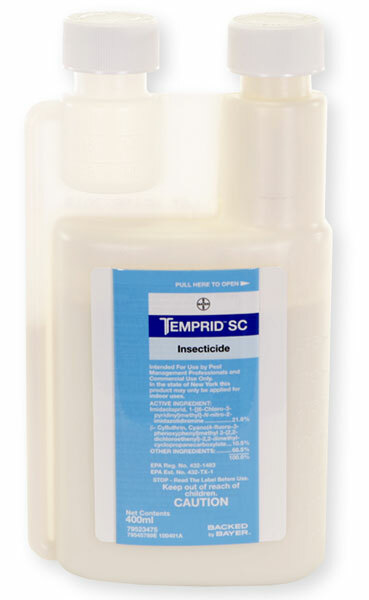 Temprid is a combination pesticide meaning that it contains 2 active ingredients. Both work in different ways. Tempo contains a single active ingredient. So for the money, Temprid (which contains Tempo) is going to be more expensive. The benefit is that it works better for bed bugs than Tempo alone. When treating for bed bugs, cost should not be a concern. If you try to save money (such as applying DE), you will get frustrated and end up spending more than you would have originally. It's just how it works. I do not recommend using DE or Diatemaceous Earth indoors anywhere other than inside walls or voids. If you scatter it like flour around the room on the mattress, baseboards, etc, then all you will make is a huge mess.